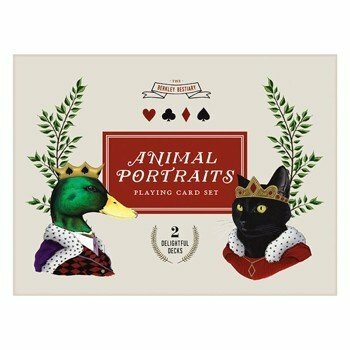 This card set features the sophisticated and humorous illustrations of animals by husband and wife duo Ryan and Lucy Berkley. The Berkleys create technically brilliant and detailed drawings of lovable furry friends, complete with whimsical backstories and anecdotes for each. 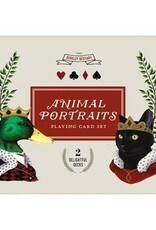 The set includes 2 standard playing card decks in a gift worthy drawer box.